Is your blog ready to be a business? Are you leaving money on the table? Find out where your blog can make you money by taking this quiz. Do you know who your target reader is? Not Sure - What is a target reader? Do you currently offer any paid products / services? Do you know WHAT your ideal reader wants from you and your blog? Well done for getting so clear on your target reader! By knowing your ideal reader inside and out you can craft the exact offerings they actually WANT and are actively looking for! Here are a few ideas for other offerings you may be able to incorporate into your biz to take it to the next level: Subscription / member website - this could be for support or for a group setting for your service - this could be as little as a few £ a month OR you could include as an up level service giving more exclusive access to you for a higher price tag! 1-2-1 services Physical products - even if you are service based you can incorporate great branded products / trinkets / memorabilia for you and your brand which can even lead to a great side revenue source for passive income! Retreats / getaways - in person events Want to get deeper into extending and refining your offerings? 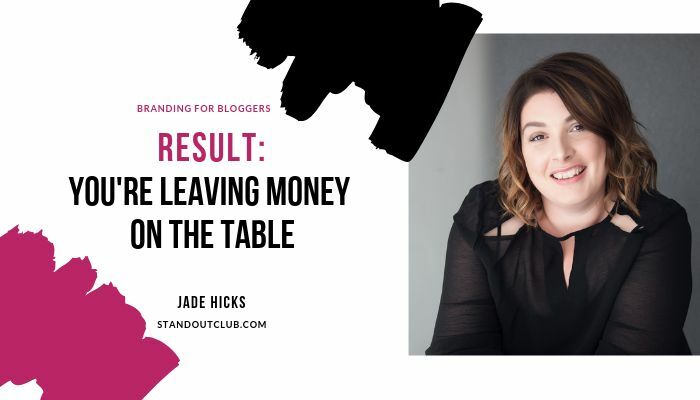 Come on over to my exclusive community, Jade Hicks' Stand Out Club, and dive into my treasure trove of FREE resources to help you with this topic. I'm so excited to welcome you to the community, see you in the group! You're missing out on spreading your message and making HUGE impact! You are ready for a HUGE mind shift..... Your blog IS a business. Profitable Business = Helping lots of people = They will talk and refer and gush about you = Helping EVEN more people = MASSIVE IMPACT you set out to have when you first put pen to paper. I know it can be easy to accept your blog is "never going to make money." That you are not good enough, that you're not ready or even that you're not needed. By accepting any one of those FALSE statements, you are literally ROBBING the people who NEED you, who are actively looking for your offering, your story and your experience of getting what they NEED and what they want. You owe it to the people you want to impact and help, to take your blog seriously and turn the volume up to full on business level! Remember, the more profitable and successful your business, the more people you help with your message and the more lives you impact. So, what are you waiting for? No more settling for sharing your message with just your nearest and dearest. There are no limits for you and how many lives you can help so lets get started!! 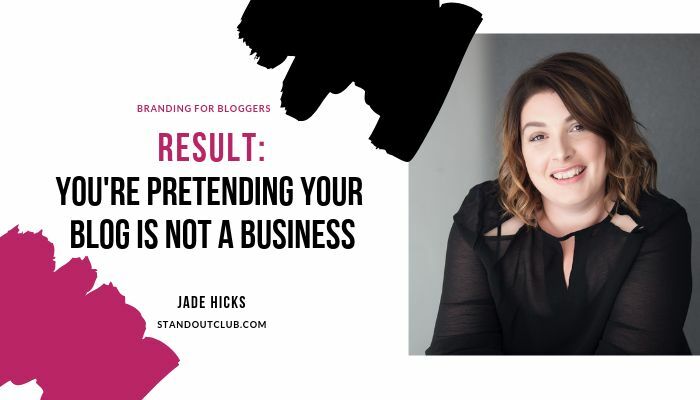 Come on over to my EXCLUSIVE, free community, Jade Hicks' Stand Out Club, and dive into the treasure trove of resources I have designed to specifically help you get your blogging biz in focus and make serious impact. I'm so excited to welcome you to the group, see you in the community! Growth and Profitability are on the horizon! It's time to get focussed and get clear on exactly who you serve and what they want from you. Your people are out there, actively searching for your story, your experience and your solution, it's time to show up and BIG STYLE! You know how important getting to know your audience is in making Unicorn Poo style offerings that they have been hunting high and low for yet failing to find. So now is the time for you to grab the bull by the horns and go DEEP! Get to know your target reader, your ideal customer, and get creative around WHAT they want you to offer them. What is going to solve their biggest problem? What is going to help them sleep better at night? I have designed a FREE exclusive community to help bloggers, experts, and entrepreneurs get clear, get focused and get ON creating a profitable Stand Out Brand, come on over and join us! There is a treasure trove of resources ONLY available to my community members so come on over and grab exactly what you need right now. I'm so excited to welcome you to the community, see you in the group!